Hand dyed sock yarn. This yarn has a base color of a semi solid buttery yellow with speckles of red and green. The speckles spread so there are some areas of bright green and lighter red. 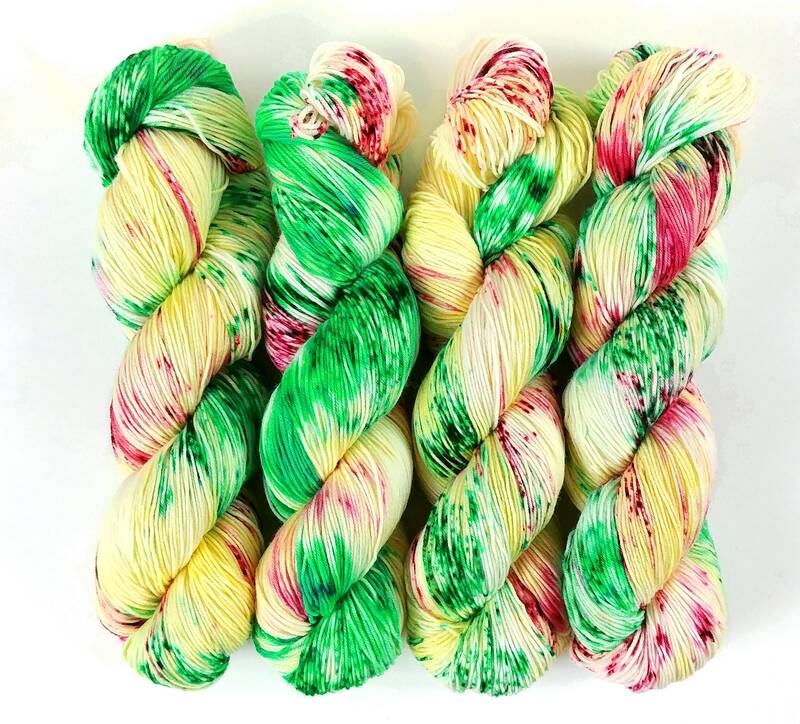 Each skein is unique, so like all hand dyed yarn if using more than 1 skein for a project it is highly recommended to alternate skeins. This listing is for 1 skein of Staple Sock. This yarn is so soft. The yellow is a beautiful color. The yarn came quickly and is absolutely gorgeous! Nice vibrant colors - thank you for the lovely stitch marker.